The recent financial crisis and the lingering economic malaise have made Americans jittery about their savings. A common concern is whether or not they will outlive their savings and investments. Given this concern held by most individuals who are in retirement or approaching retirement, it is easy to see how charitable giving is not always a priority. And yet, charitable giving can not only give families a sense of legacy – that they are leaving something meaningful behind – but can also be accomplished today without giving up any assets that may be needed during lifetime. Making a commitment today to a charitable gift that will be made in the future can be uplifting and transformative. You don’t have to be Warren Buffett or Bill Gates to make a commitment to charity through your estate. Anyone can do it! The most common type of deferred gift made through one’s estate is a bequest in a will or living trust. Simply think of your favorite causes – your church, alma mater, local hospital, food bank – and include them in your will or trust as you would a family member. In my experience, donors feel comfortable allocating 10% of their assets to charity, and the remaining 90% to family, so as not to “disinherit” heirs. Or you can make specific bequests to family first, and then leave the rest to charity. A will can be amended using a simple codicil; a trust will require a trust amendment. In either case, consult a qualified estate planning attorney to help. But there’s an even easier gift you can make that doesn’t even require an attorney: You can name one or more charities as beneficiary of your retirement plan. If you have an IRA (traditional or Roth), you can designate charitable organizations as beneficiary along with your spouse, children, or whomever you have already named. Again, this can be done in percentages – for example, 2% of an IRA to each of five charities, and the remaining 90% to family. To make these changes, simply request a “change of beneficiary” form from your IRA custodian. Some important points to remember: To avoid confusion, be sure you have the charity’s correct legal name on any documents. Some charities are very similar-sounding while others have multiple chapters, so you want to make sure you are designating the correct one. Simply call the charity and ask for their correct legal name and their tax ID number, which you will need for a retirement plan designation. If you wish to remain anonymous, ask your financial planner to call on your behalf. Many charities have established special programs to honor and recognize supporters who have included the charity in an estate gift. By notifying the charity of your commitment, you give the organization the opportunity to thank you in advance. Anyone, no matter the level of wealth, can be a philanthropist and make a lasting impact on the causes they hold dear. A bequest or retirement plan designation is a simple technique for making that happen. 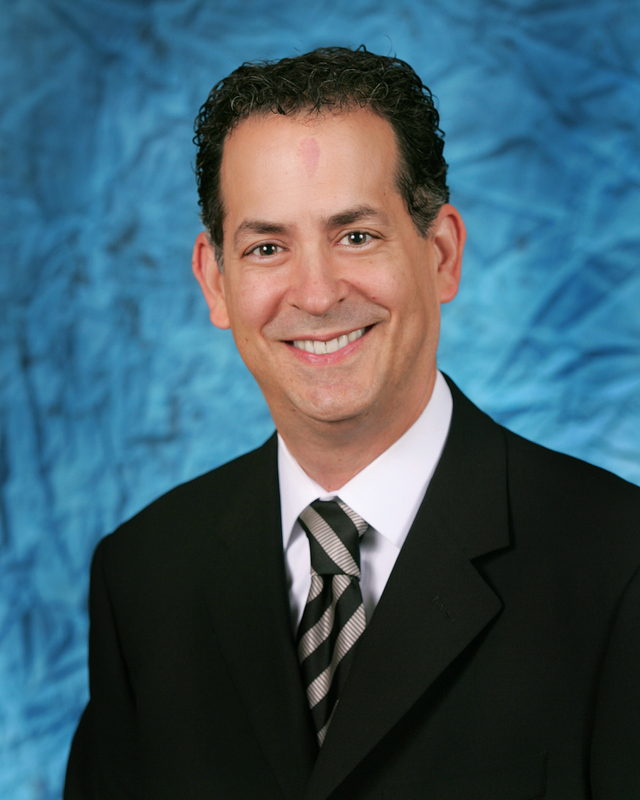 Juan C. Ros, CFP®, is a financial advisor specializing in charitable strategies at Lamia Financial Group, LLC in Thousand Oaks and is board member with the Financial Planning Association of Ventura County. He can be reached at (805) 494-3416 or jros@lamiafinancial.com. 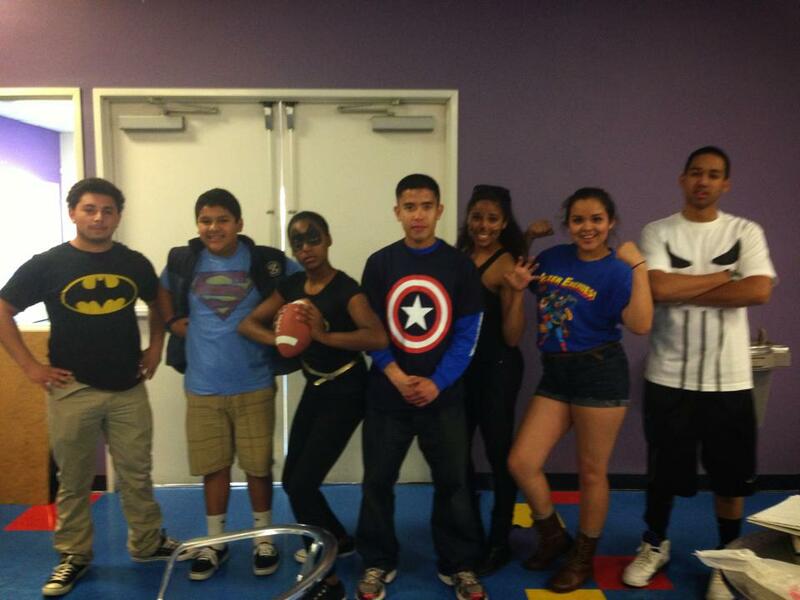 A new haven for the teens of Oxnard and Port Hueneme! We are very excited to share that our new standalone Teen Center, known as The CLUB, is now open! It is located at 126 East 7th Street in Oxnard. The Club is dedicated to providing a positive environment where teens are able to relax, socialize, participate in positive activities, and have the opportunity to contribute to the community. The Club is about 13- to 18-year olds voicing their perspective, interests and connecting face-to-face with each other in a safe, substance-free and pressure-free environment. We are here to support their creative options for fun and explore the possibilities. What is at The Club Teen Center? A Place where GREAT FUTURES START. Our staff are dedicated, youth centered and professional. We welcome you to take a tour of our new Center and please help us spread the word to local teens about this new opportunity. For more information, call me or email me at tblaylock@bgcop.org or 805-815-4959. BGCOP opened its doors for a week and celebrated National Boys & Girls Club Week, April 7 – 13 with a host of exciting and enriching activities. More than 200 people visited the Club and participated in the fun. During the week, Club youth and their families created anti-bullying tote bags, took part in a Legos competition and created artwork that depicts a healthy lifestyle. Kids played classic board games, got involved with clean-up activities around the community, and participated in essay and Scrabble-a-thon competitions. 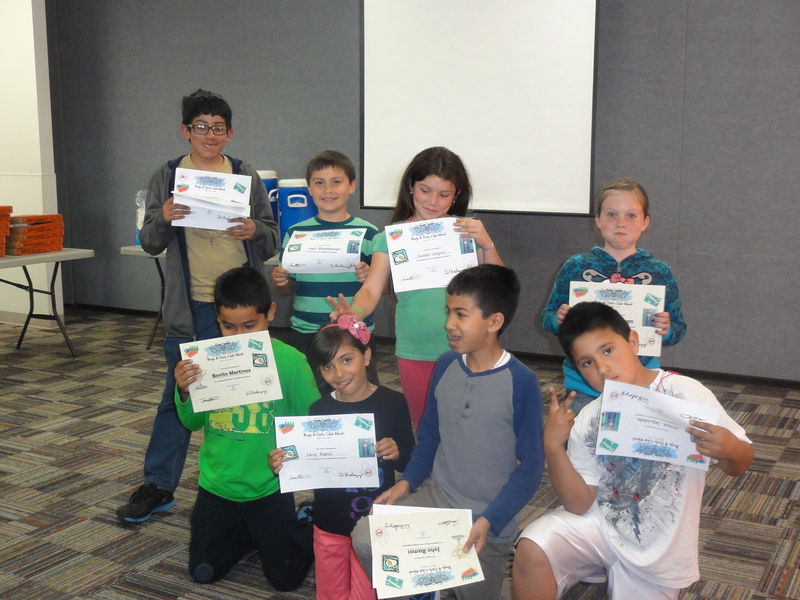 At the end of the week, the kids were recognized for their participation at an awards ceremony. 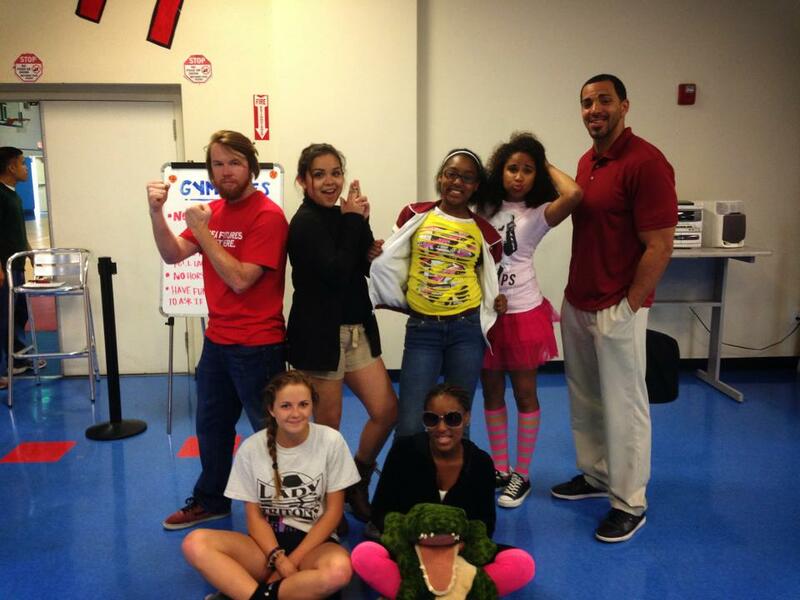 The Club also held special guided tours for community members on Friday, Apr. 12 so that they could see first-hand all the wonderful activities happening at the Club every day. More than 215 people attended our 11th Annual Great Futures for Kids Breakfast helping the Club to raise more than $80,000. The breakfast on March 21 at the Residence Inn by Marriott in Oxnard, also kicked off the Club’s Great Futures for Kids fundraising campaign with a goal of reaching $500,000. Keynote speaker Erik Wahl entertained and enlightened the crowd, which included local business and civic group representatives, community members and officials. Wahl, an internationally recognized graffiti artist, challenged the audience to find the creative energy they had as children. During his 45-minute presentation he painted three painting while sharing the message that people are capable of so much more than they think they are. Wahl donated the paintings –which are not available for purchase–back to the Club for future fundraisers. 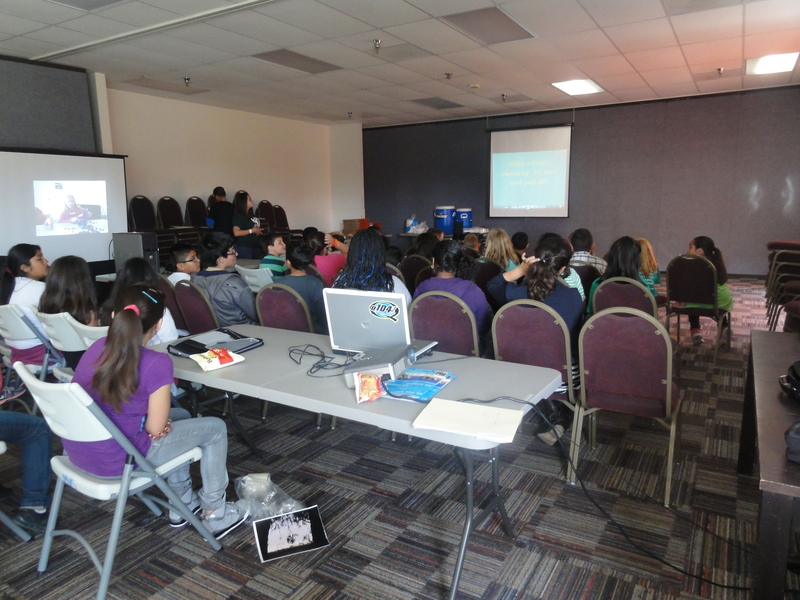 The Club’s Youth of the Year Paloma Guzman welcomed the crowd via video conferencing from an out-of-state leadership conference where she’s representing the Club. Club alumni Perry Ludy, a 1969 Youth of the Year, is an accomplished businessman and author. He shared his life-changing experiences as a Club member with the attendees as he implored the audience to give back by sponsoring a youth. 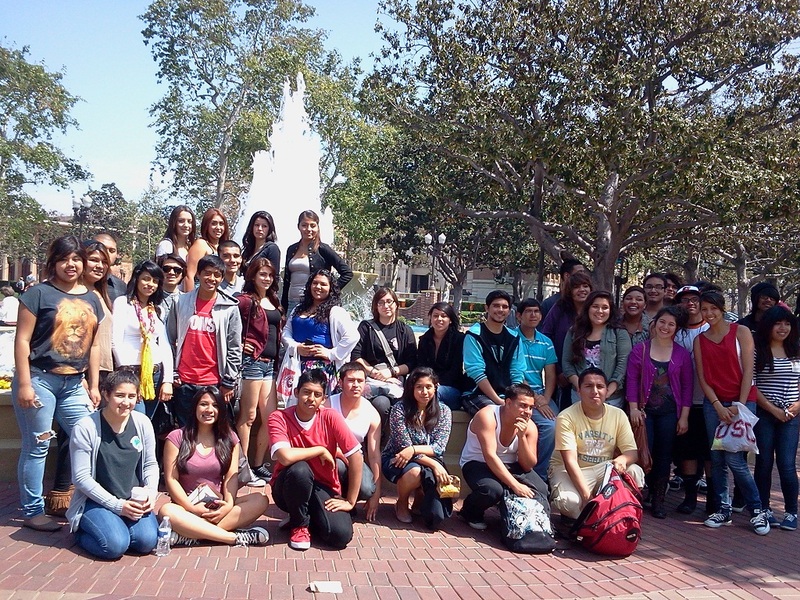 Last month, 35 Club members in the Club’s Youth Empowerment Program visited the University of Southern California campus. The goal of the field trip was to encourage YEP participants to think about college and to expose them to different campuses. The Club members on the tour included high school seniors, youth ages 18-21 and NFTE (Network for Teaching Entrepreneurship) members. 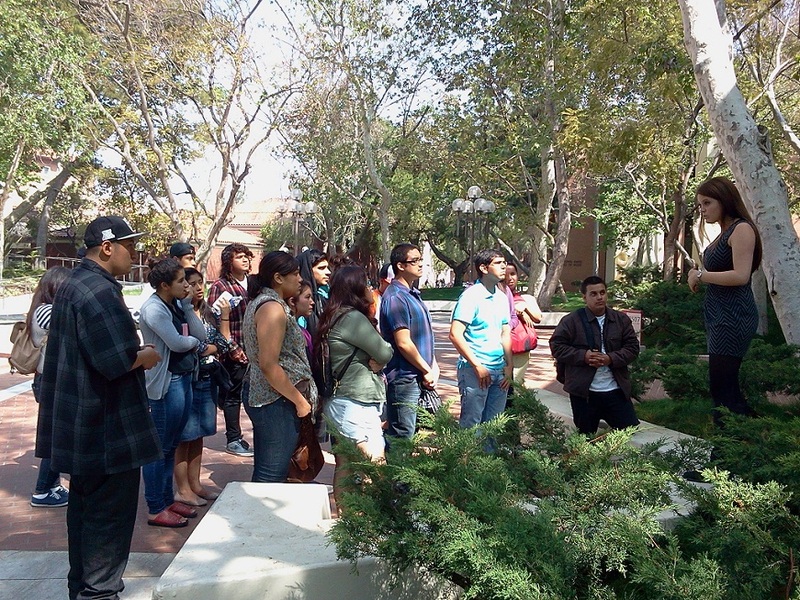 “All the students really enjoyed the campus tour. I even heard a few students mention that they would be interested in attending the university,” said Michelle Morgan, BGCOP Academic and Career Advisor. 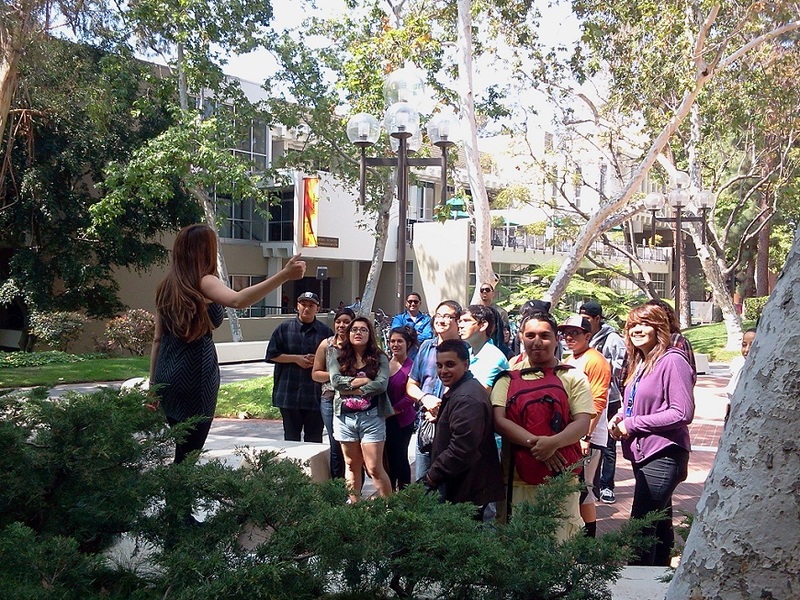 The tour began in front of a statue of Tommy the Trojan, where students were given a detailed description of the majors the university offered, as well as information about the many organizations and activities on campus. They also learned what a USC student’s typical day is like. The Club’s newly launched Great Futures campaign needs you, your dry cleaner, your favorite sandwich shop — and every other local business –to help raise $500,000. The funds ensure we can provide the quality programs and services to our more than 9,000 youth and their families in the community. Retailers are being asked to put BGCOP posters in their windows and brochures on their counters to show their support of the Club and its efforts. Recently, Channel Islands Family Dental Office pledged to donate 100 percent of every new patient’s regular cleaning in 2013 to the Club. DMI Ready Mix Concrete proudly displays the BGCOP logo on one of its ready mix concrete trucks and donates a portion of the revenue to the Club from each job the truck is used. The campaign is vital because it costs $500 per child to provide programs, and families pay just $20 per year for a child to become a member of the Club. By supporting Club programs, you can help neighborhood children grow up to graduate from high school and achieve self-sufficiency, along with learning strong character and leadership skills. BGCOP members have higher graduation rates and lower teen pregnancy and crime rates than area youth, resulting in a 1,200 percent return on donor investments. When you’re on Facebook, please vote for BGCOP! We’re competing to be one of the top 40 causes (out of 200) to win a $25,000 grant from the State Farm Neighborhood Assist™ through a Facebook voting campaign from April 4 – 22. Facebook members can vote on Facebook at https://www.state-assist.com/cause/5847/great-futures-for-kids. You can vote up to 10 times a day during the voting period. The top 40 vote-getting organizations will be announced April 29 on Facebook. The grant would support the Club’s Be Great: Graduate program. It’s a comprehensive, targeted dropout prevention intervention program designed to enhance youths’ engagement with learning by pairing them with staff and volunteer mentors who are trained to use strength-based strategies and problem-solving techniques. “We would love to be among the top 40 causes honored by State Farm Neighborhood Assist and encourage people to vote for us when they’re on Facebook,” said Tim Blaylock, BGCOP Chief Professional Officer. To be eligible for the contest, causes needed to be focused on safety, education or community development to better their community. A total of 3,000 community causes were submitted to the State Farm Youth Advisory Board, which chose 200 worthy causes to move forward to Facebook voting. The advisory board is comprised of 30 students, ages 17-20, from across the United States and Canada who serve two-year terms. State Farm Neighborhood Assist empowers people to identify problems in their community, connects them with local nonprofits that can help solve the problem and provides an opportunity for communities to receive funding to make a positive impact in their neighborhood. Anya Tobin is the new director of volunteer services, but she’s not new to our Club. 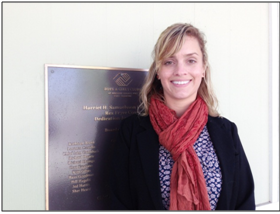 She has been working as a BGCOP site coordinator in the Ocean View School District’s after school program. In her new role, she will oversee more than 200 volunteers who help out at the Club, doing everything from mentoring and homework help to coaching sports or being a guest speaker. Anya grew up on the rural coast of Maine as the youngest in a family of 10. She struggled with dyslexia and chronic ear infections that delayed her learning. Frustrated, she retreated into art and the vast woods around her home. There were no Boys and Girls Clubs in her area, so as Anya went through high school she continued to struggle with her grades and self-esteem. She threw herself into her art, graduating from the University of Southern Maine with a bachelor’s degree in fine arts and a minor in art history. Anya made the Dean’s List during her sophomore year. During her time at USM, Anya participated in several student organizations and was the president of the Art Student Union. She traveled to Europe twice, organized her peers to attend the National Council on Education for the Ceramic Arts (NCECA) and presented her work and her peers work to guests from around the globe. In her senior year, Anya took second place for a business plan she and a friend presented to the governor. 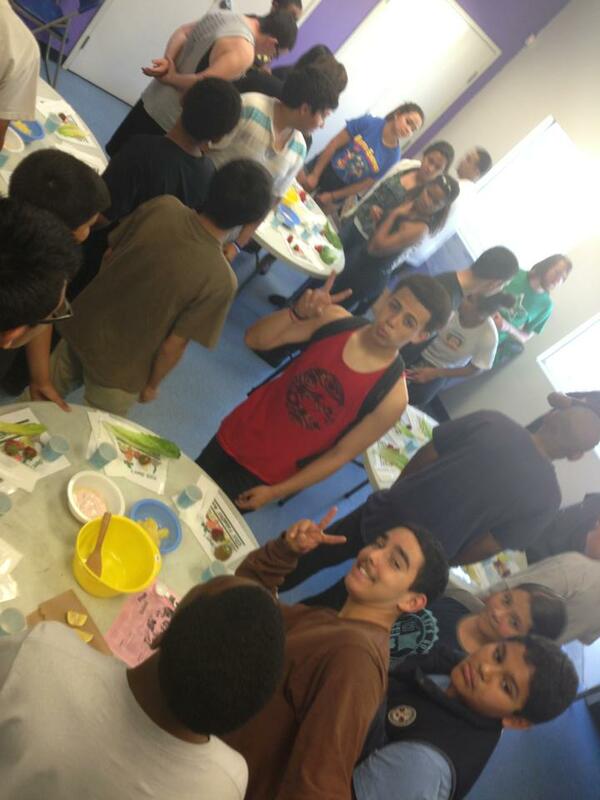 Oxnard, Calif.—The Boys & Girls Clubs of Greater Oxnard and Port Hueneme is competing to be one of the top 40 causes to win a $25,000 grant from State Farm Neighborhood Assist™, a crowdsourced, philanthropic program, through a Facebook voting campaign. BGCOP was selected as one of the top 200 causes by the State Farm Youth Advisory Board. The voting period is April 4 – 22. Facebook members can vote on Facebook at https://www.state-assist.com/cause/5847/great-futures-for-kids. The grant would be used to support the Club’s implementation of its Be Great: Graduate program, a comprehensive, targeted dropout prevention intervention program designed to enhance youths’ engagement with learning by pairing them with staff and volunteer mentors that are trained to use strength-based strategies and problem-solving techniques. BGCOP urges the community show its support of the Club by voting in this exciting Facebook contest. Each person may vote up to 10 times daily during the voting period. The top 40 vote-getting organizations will be announced April 29 on Facebook. “We would love to be among the top 40 causes honored by State Farm Neighbood Assist and encourage people to vote for us when they’re on Facebook,” said Tim Blaylock, BGCOP Chief Professional Officer. The Boys & Girls Clubs of Greater Oxnard and Port Hueneme exists to inspire and enable all young people to realize their full potential as productive, responsible and caring citizens. With three full-service clubs, 13 school program sites and one housing site, the organization is one of the largest of its kind in California, serving 9,000 members annually. The group is also the first Boys & Girls Club of its kind to open a site inside a Juvenile Justice Center in the state of California. Program areas offered to youth include character and leadership development, education and career development, health and life skills, the arts, technology and sports, fitness and recreation. For more information, visit http://www.positiveplace4kids.org.